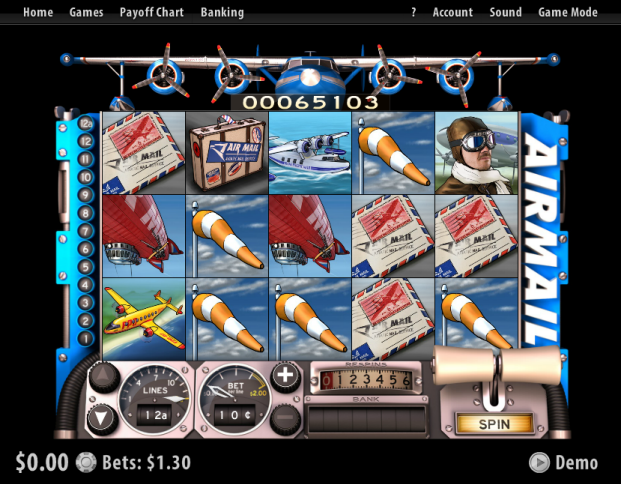 Overview: Slotland Casino presents Airmail, a 5 reel slot machine with 12 + 1 paylines based on the golden age of aviation. 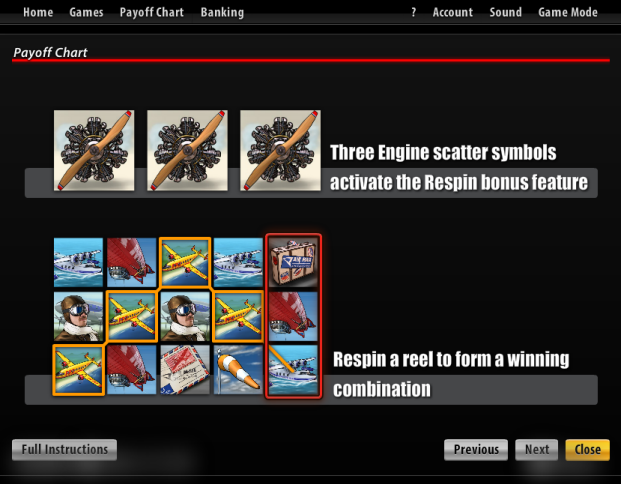 Respin reels to create combos and increase your winnings! 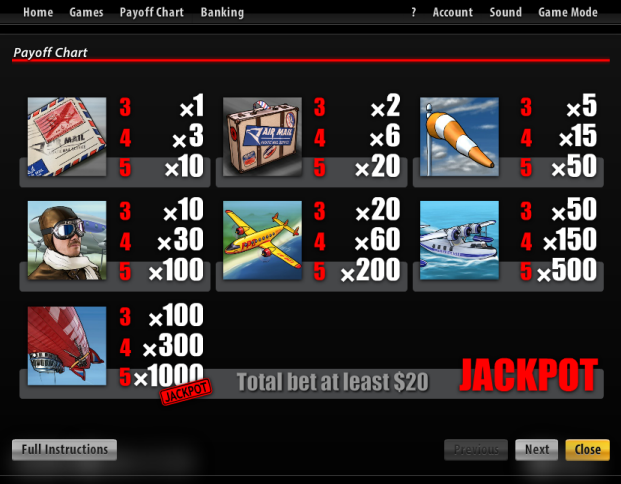 Start your journey flying the skies while winning real money on online slots. Similar Slots: If you like Air Mail, you might like these other slot machines from Slotland: Booster, Double Luck, Reel Riot, Slotris, Super Sevens, Turbo GT.